It's Friday! So that means it's time for another Top Five Friday. As a book blogger I obviously visit lots of book related websites. Whether it's to request ARC's, chat to other book lovers or to just get news on the latest bookish news. 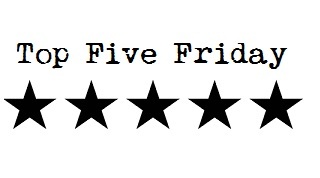 So for this week's Top Five Friday I thought I'd count down my favourite Bookish Websites.